lectively in such a system. 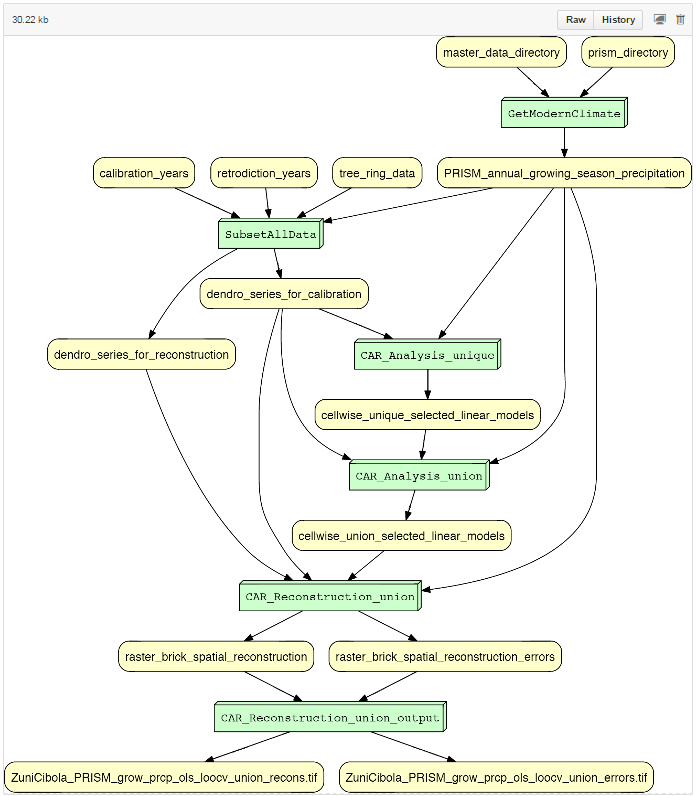 Instead, YesWorkflow enables scientists to annotate existing scripts with special comments that reveal the computational modules and dataflows otherwise implicit in these scripts. YesWorkflow tools extract and analyze these comments, represent the scripts in terms of entities based on the typical scientific workflow model, and provide graphical renderings of this workflow-like view of the scripts. Future versions of YesWorkflow will also allow the prospective provenance of the data products of these scripts to be queried in ways similar to those available to users of scientific workflow systems. The current revision and technical details on YesWorkflow technical details see our Github YesWorkflow Site.